What are the three most important questions to ask when buying a used car? 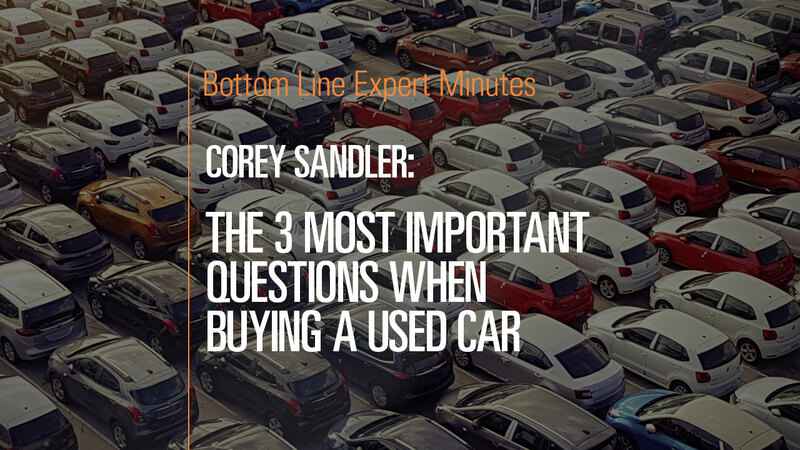 According to Corey Sandler, consumer expert and author of Bottom Line’s Secrets of the Savvy Consumer, they are: 1) How has the car been used during it life? 2) How well has the car been maintained? 3) What recalls or service advisories have there been for this particular model? You can get information about this last question online or directly from the vehicle’s manufacturer.